A .drawbot package is a DrawBot app readable file containing python files. Making it easy to share and exchange drawbot scripts. Double click the or drop the .drawbot file on top of DrawBot. 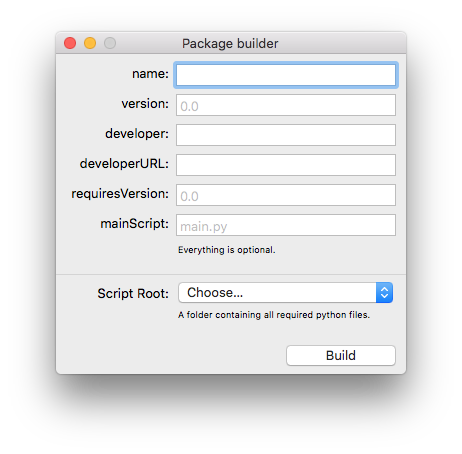 Use the build in package builder to build a .drawbot package. A .drawbot package is a folder with an extension.